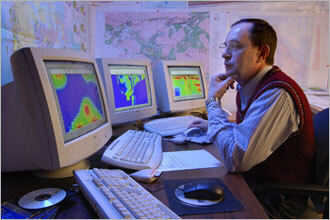 Phoenix Geophysics operates an international MT survey division with 35 years of field experience. We have installed more than 7000 sites worldwide. Our surveys are backed up by the expertise of Phoenix engineers and technicians, ensuring top-quality data, minimum down-time, and maximum efficiency. Our survey crews have acquired high-quality MT data in the most demanding conditions and environments around the world, using the same Phoenix equipment that is sold to customers. Our team of geophysicists applies the latest methods of analysis and interpretation to deliver a complete and comprehensive report to the survey client. 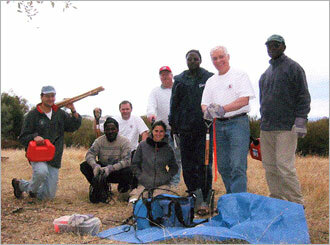 Often our field survey crews are accompanied by personnel of clients who also purchase equipment. These personnel receive hands-on training from our field specialists so that they can carry on by themselves in later work. The feedback from these co-operative activities helps us refine our training methods and shape our research and development priorities. in central California in 2003. For more information about using Phoenix equipment and personnel for your SSMT® MT/AMT survey, please contact us by phone, fax or e-mail. 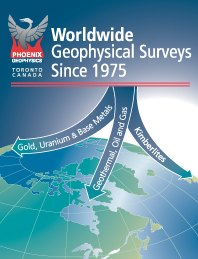 Phoenix Geophysics has completed almost 150 MT surveys with over 6000 individually sounded sites since 1981. During the same time period, owners of Phoenix MT equipment have completed over 30,000 individual MT sites in 28 countries. To see pictures from surveys all over the world, take a look at our Field Photos.